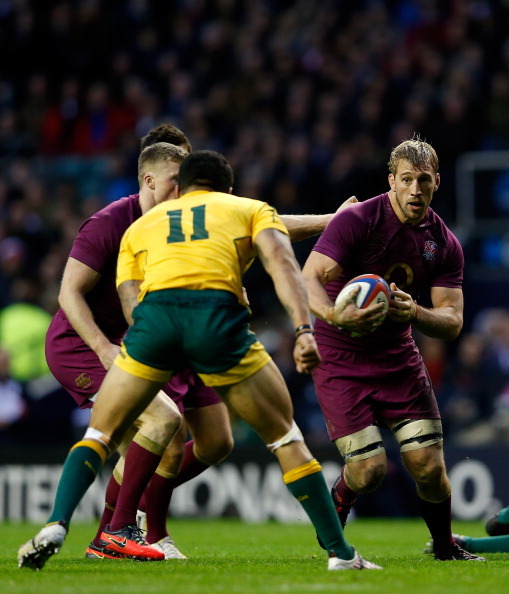 ENGLAND WENT into this Test against a supposedly dispirited Wallaby squad full of confidence. Sadly, when the whistle went, the roles had been reversed, with England, not so regal, in purple. In fact, they were a deep shade of claret after being outthought, outfought and most importantly outscored, as they went down 20-14. Both tries in the match were contentious. Firstly Australia scored through Nick Cummins with what looked to be a forward pass and secondly, Manu Tuilagi’s outstretched arm didn’t quite seem long enough to reach the tryline. It was an irrelevance because both tries were awarded. Other than that it was a tale of front fives trying to assert one upsmanship and in the backrow, openside Michael Hooper gain bragging rights at the all essential breakdown. Outwide, Australia’s playmakers, Kurtley Beale and Berrick Barnes will have been the happier than Toby Flood and Alex Goode who couldn’t shape the game to their satisfaction. England gave it their all, but were ultimately beaten by the better side. Many people will point to the numerous tap-and-go decisions throughout the second-half which would have brought England within a penalty score, yet the one moment that make the difference, pivotally to the boys in Green and Gold was Nick Cummins’ try on 34 minutes. Although Manu Tuilagi replied in kind four minutes later, that try seemed to settle the Wallabies nerves. It was simple stuff, released by Kurtley Beale, scrum-half Nick Phipps made an instinctive rapier-like break when faced with a mismatch with Tom Palmer, and after searing 40m, he drew the England defender and with a whiff of a forward pass, sent Cummins scorching in to score with his first bit of ‘Test meat’. Australia, like Wales, have selection problems at No 7. Luckily, it’s of the right sort. When David Pocock was injured during The Rugby Championship, a collective wave of anxiety swept over Australia, yet 21-year-old Michael Hooper’s performances in his absence, have been a rare bright spot in a turbulent few months. Indeed he ran through a full openside’s repertoire with a wonderfully instinctive display; strong in defence, notably shackling Toby Flood early on, fleet of foot on hoof and blessed by sound decision making that belied his tender years. He only served to reinforce England’s deficiencies. What’s worse, his father hails from Blackheath. First things first, the game was no walkover. The six-point gap seemed about right, and if England had decided to err on the side of caution and kick their penalties, rather than going for the jugular, they may well have won, but they didn’t so…what went wrong? Firstly, they showed a lack of invention in midfield that didn’t fare well in comparison with the Wallabies who were full of verve and purpose. Hindsight is a wonderful attribute and were England 15 points to the good, you’d agree that kicking to the corner is in keeping with a Corinthian spirt, but let’s face it, it’s Australia and taking points, any points, should have been the most sensible option for Chris Robshaw – the captain elected to kick for territory on three occasions in the second-half. There also appeared to be a lack of edge and ballast from England’s front five where Nathan Sharpe on his final European tour appeared imperious. Alex Goode was England’s top ball carrier with 93m gained. Thomas Waldrom was the forward’s top carries with 48m. 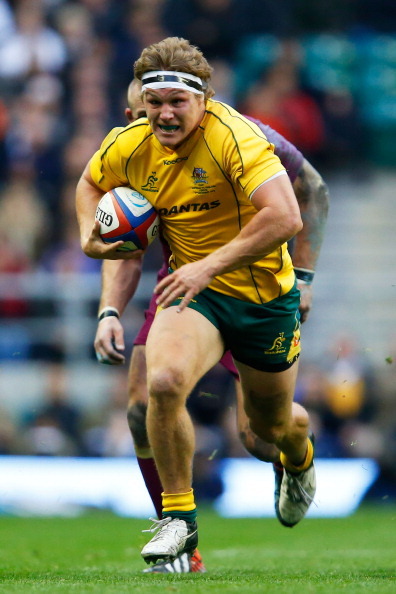 Nick Cummins was the best Wallaby carrier with 115m carried. England: Alex Goode, Chris Ashton, Manu Tuilagi, Brad Barritt (Owen Farrell, 73), Charlie Sharples (Mike Brown, 60), Toby Flood, Danny Care (Ben Youngs, 60); Joe Marler (Mako Vunipola, 49), Tom Youngs (David Paice, 73), Dan Cole, Geoff Parling, Tom Palmer (Joe Launchbury, 53), Tom Johnson (Tome Wood, 49), Chris Robshaw (c), Thomas Waldron. Australia: Berrick Barnes, Digby Ioane (Drew Mitchell, 69), Adam Ashley-Cooper, Ben Tapuai, Nick Cummins, Kurtley Beale, Nick Phipps; Benn Robinson, Tatafu Polota Nau (Stephen Moore, 40), Ben Alexander (Sekope Kepu, 73), Sitaleki Timani, Nathan Sharpe (c), Dave Dennis (Liam Gill, 55-66), Michael Hooper, Wycliff Palu.